Discover our NEW baby soft Little Blue Puppy character! Find the perfect gift for an upcoming baby shower or new baby boy. 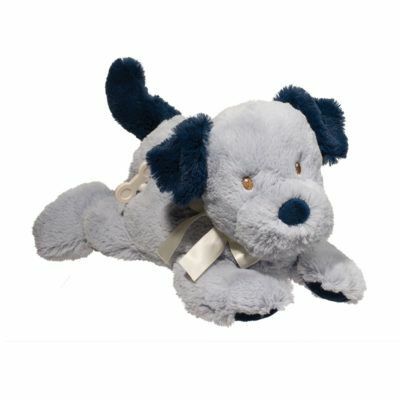 The Little Blue Puppy Collection features cuddle-worthy puppies for infants. Pick out a few favorites from this collection and create an adorable baby gift ensemble. You will love our soft Storytime Baby Book, blankie friends and the adorable wind-up musical puppy!